I've tried all types of different bronzers by a variety of brands. They have either made me too bronzed, giving me that Jersey Short effect or left my face a glittery, shimmery mess. I don't mind my highlighter leaving a little shimmer, but I prefer my bronzer to "bronze" and not leave me shiny. Hoolah does just that. It's a matte bronzer that wont leave your face shiny. The color is perfect for my medium skin tone complexion. I love this bronzer and use it everyday. Gives me just enough color for those drabby winter days without making me look like I fell asleep out on the sun or in a tanning bed. My only compliant was the little applicator brush the product comes with. I tossed it out right away and replaced it with a Kabuki brush. Love it!! I have a very pale skin and it suits it really well,but you have to know how to apply it properly so it does not look tacky and messy. The color is beautiful,it would suit many skin tones in my opinion, the only negative side of this product is the pricing,it's a little expensive,but overall I would re-purchase the product again. when i was first starting out with makeup i decided to buy the best reviewed products to not spend a lot of money on a lot of cheap not-as-good replicas. I dont regret this decision at all. after buying hoola and seeing other bronzers none of them compared. This is a GREAT contouring powder because it can fit most skin tones. I am pretty fair with yellow undertones and it doesn't make me look like I'm on jersey shore. I have used it on a majority of my clients, ranging from Caucasian ruddy skin to medium-dark tones (think Tyra Banks or Beyonce) and those with pink, violet, olive and tan undertones. Anyone darker than this I tend to use something with a bit more color... Do be light handed with this product though as it does have great pigmentation so a little bit does go a long way. Also great as a blush or bronzing powder. This is also amazing because there is NO shimmer which is hard to find in a bronzer. I know a lot of people like that "iridescent glow" but I'm particular to a more polished look, and besides, once highlighter is added there will be enough brightening that you wont look like a manikin! If you are looking for the best matte bronzer out there, look no further. I, personally, am a fan of anything with a matte finish whether it be a lipstick, blush or eyeshadow. I've tried quite a few bronzers and this one has earned the 1st place ribbon. Like most people say, it doesn't make you look orange at all. Hoola is my all-time favorite contouring powder. Forget MAC's Sculpt & Shape, this will fulfill all of your contouring needs-temples, jawline, bridge of your nose, hollows of your cheeks, you name it, Hoola's got you covered. There is no shimmer in this product whatsoever, so if you do prefer a shimmery bronzer, this might not be a winner in your book. 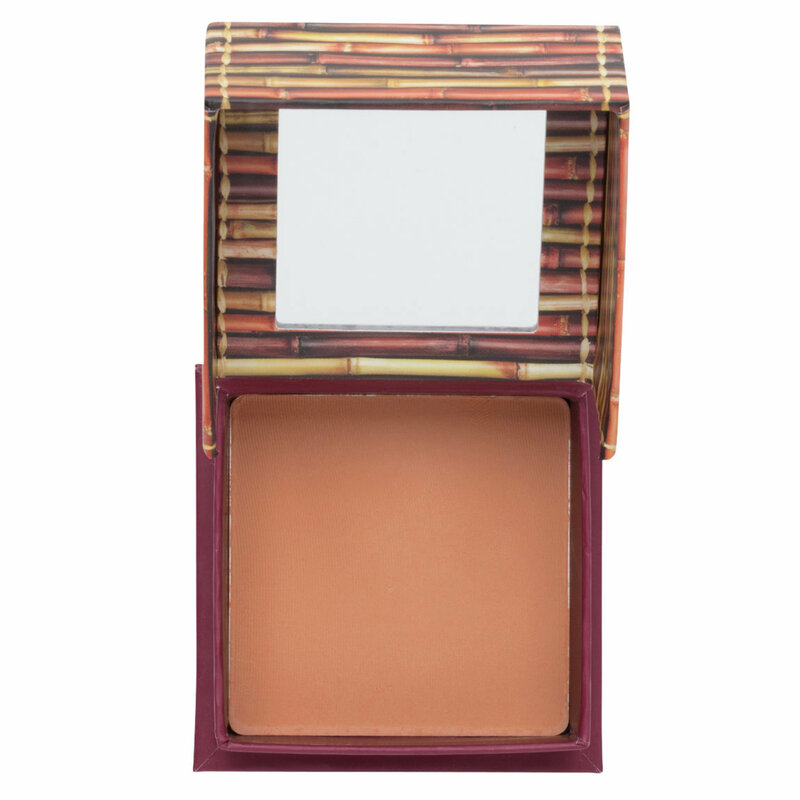 This is a universal bronzer so it works for all skintones and is very much buildable. It's a staple in my makeup kit. Love it! Thrrrob is probably my favorite color of the bunch, shortly followed by Coralista and Dallas. For a soft, subtle, and sweet pink/lilac color, you can't miss with Thrrrob. This is one of my go to colors for soft day time looks, and for clients with fair skin. It's subtle and adds just enough dimension to the face. I'm a huge fan of Benefit's boxed blushes! Give them a try! I like this bronzer because it isn't really shimmery like most of them. I like to add some color without all the glitter. I use it when I do my contouring and I am pretty happy with it. Perfection in a tiny box. If you have yellow/olive undertones and are sometimes fair skin but tan easily this is the bronzer for you! It blends so beautifully and looks like you have been kissed by the sun. Also makes a great crease color. I love Hoola Lite!